Shelley Bean: Tag! You're It! It's time again for a challenge from the Scrapalicious USA gang. This time we are challenging everyone to create a tag. Fun stuff, right? Go on over to the Challenge Blog to find out the details. Here is the tag I created using loads of items for sale over at the Scrapalicious USA store. 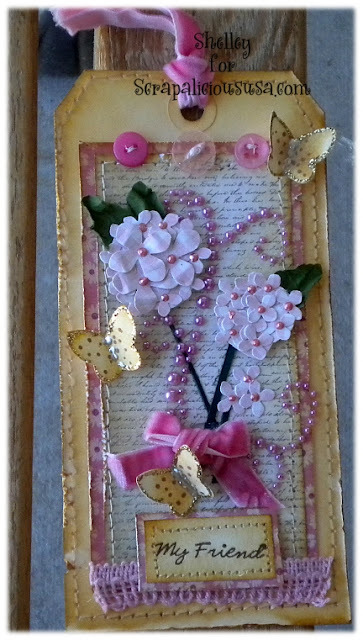 love the pink on this and love the flowers and pearls. gorgeous!